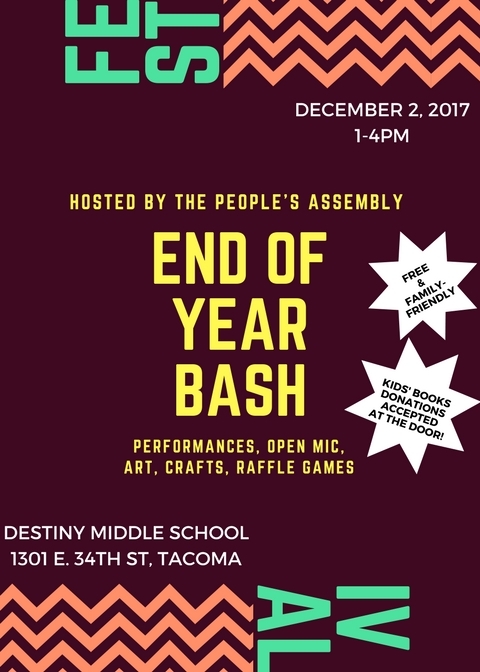 We're putting on an End of Year Bash on Saturday, December 2nd! We invite you all for live performances, open mic, raffle games & prizes, and arts & crafts for all ages. We'll also be reporting out on where we're at with The Takeback, present interactive visuals of the stories we've collected, and invite you to reflect, strategize, and organize next steps with us. More program details are at our Facebook event page here! If you're interested in tabling, hosting an activity, submitting art, or performing at the Bash, send us a message.